Wake up early and do a bit of packing but stop to go and find some breakfast. We walk up the road to The Rope and Anchor Café which is situated by the Hotel Steyne. Inside its very rustic with wooden shoe lasts hanging from the ceiling and the counter top is groaning with a wonderful selection of homemade cakes. We have coffee and split a cherry and coconut doughnut and a passion fruit and cocoa nib doughnut  both of which are absolutely delicious. We really like this place and the fact that the music they are playing includes Nathaniel Rateliff and the Nightsweats and Mumford and Sons  means it gets 5 stars from us. Walk back to the hotel, finish the packing and check out. 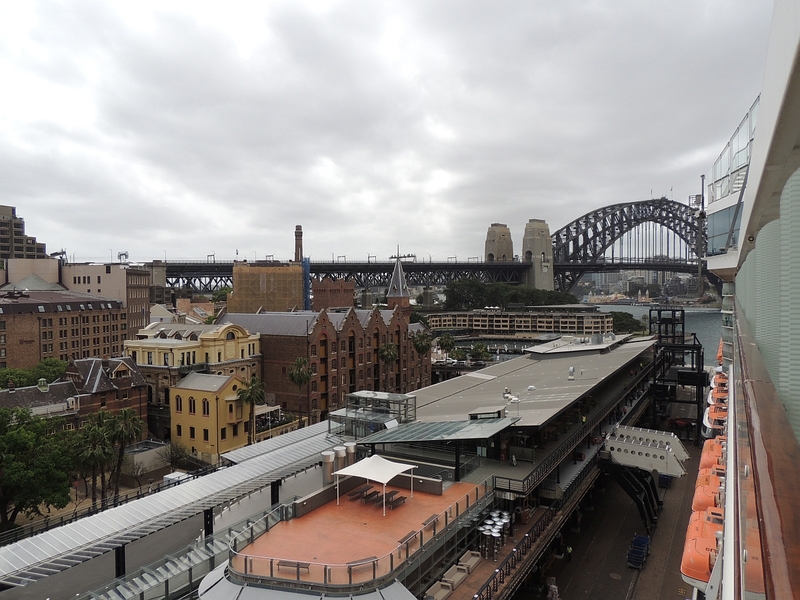 Trundle the cases up to Manly Wharf and catch the 9.45am ferry to Circular Quay. 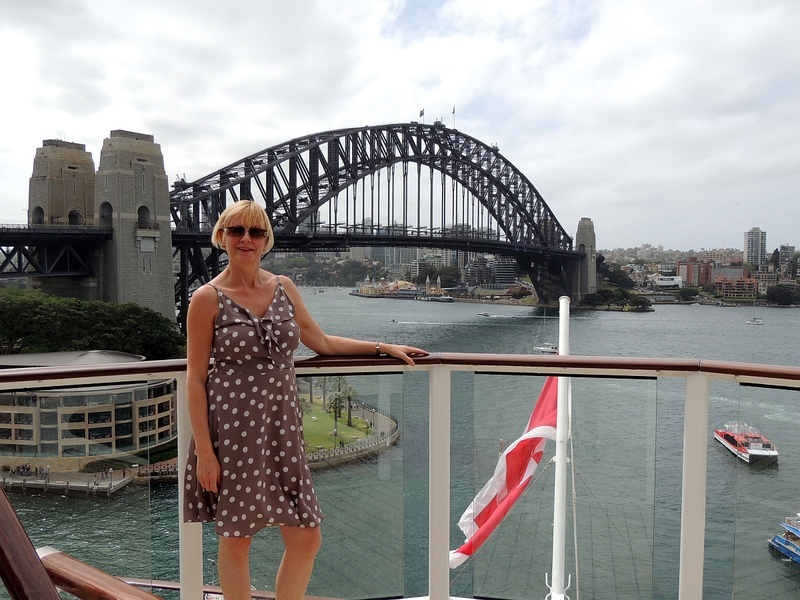 Weve enjoyed our stay in Manly Beach  unfortunately we didnt get enough time to explore it fully, but we did enjoy the walk we did and the ferry into Circular Quay and back was a real delight. Would we stay there again? Possibly not as we would like to explore more of Sydney especially at night and the transit time does make a difference when you only have a limited amount of days to fit everything in. 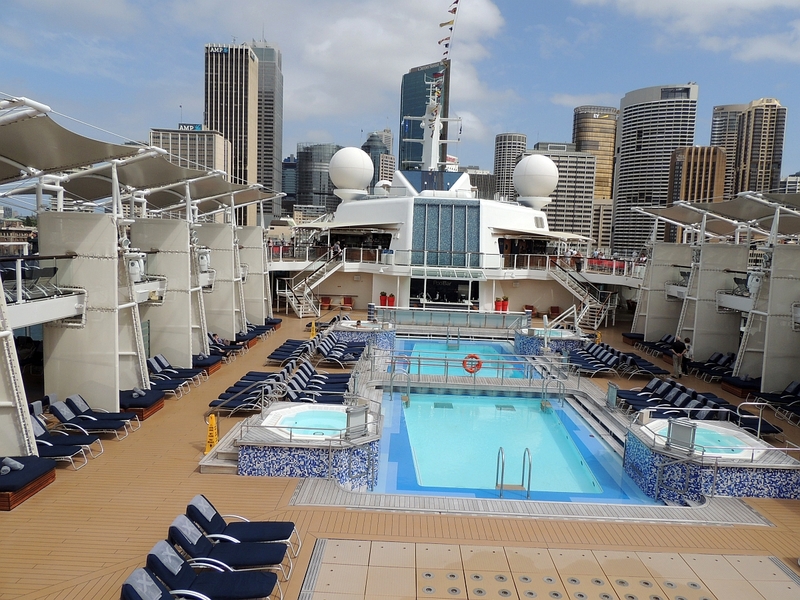 However, The Sebel was in a great position and we did enjoy being able to sit on the balcony and watch the swimmers first thing in the morning and the night sky in the evenings. The ferry in isnt as glorious today as the sky is definitely a bit hazy and the weather looks a bit iffy. 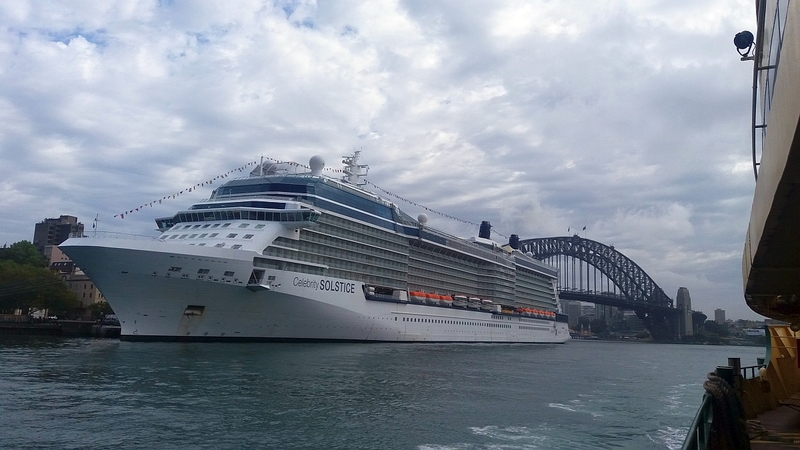 We hope that this doesnt turn into anything more sinister as we have clear visions of sailing out of Sydney Harbour with the sun shining on us and a cocktail in hand and we dont want to spoil that dream. 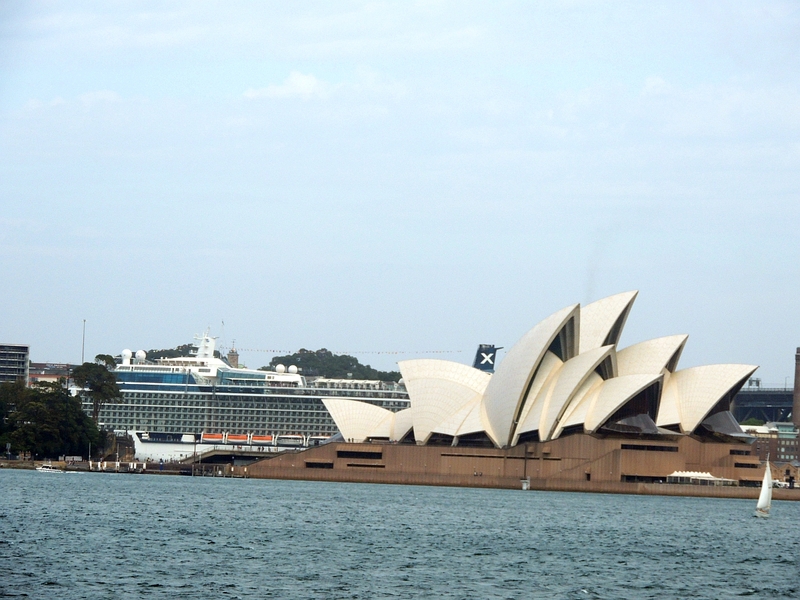 As we enter the harbour we see the Celebrity Solstice docked  dwarfing all around it. We watch some of the passengers exclaim at the size of the ship and taking photographs, I am so excited I just want to shout were going on that for two whole weeks. 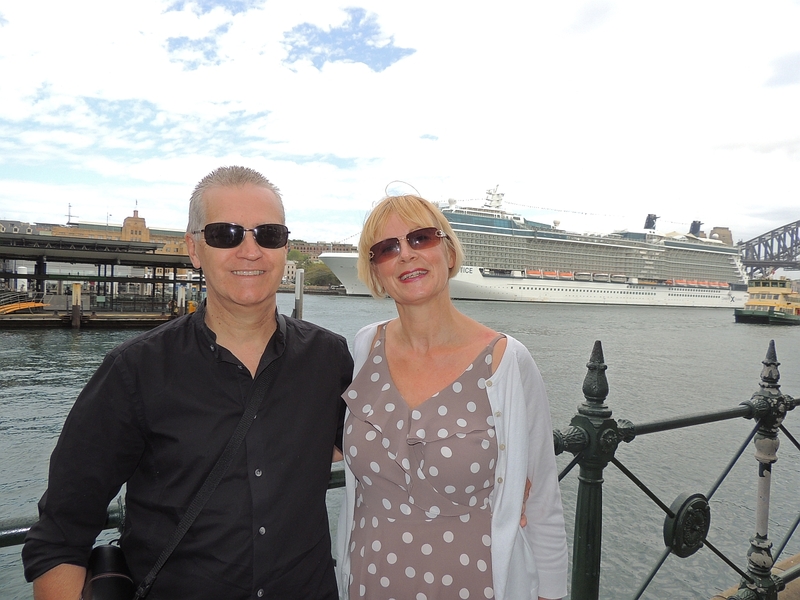 Head to the baggage drop and get rid of the suitcases and then walk over to the Opera House where some kind lady takes our photograph with the ship in the background. The weather is definitely taking a turn as it is now quite gloomy so we decide to try and get on board. The queue is relatively small and we get given our room keys and immigration forms before taking a seat in the lounge and waiting for them to start embarkation. By about 11.45am we are on board and take a glass of bubbly to celebrate the start of the second part of the holiday. We find an information desk to ask about upgrading our drinks package from the standard to the premium. We originally booked the cruise before they were offering drinks packages as it was classified as a repositioning cruise, however at a later date we found they offered this as a free perk, so we cancelled our booking and lost the deposit, but managed to re-book with the free standard drinks package and upgrade to Aqua Class and found it was still more than worthwhile doing. Anyway at the information desk they look at our room key and say there is no drinks package included. Well I just start getting really worried as for some reason I hadnt printed off any of the confirmation emails regarding the drinks package and I am worried that they wont find the information they need. So we go to Guest Services and explain our predicament  funnily enough in the queue we meet other Brits whove got a similar problem but the majority had actually paid for it upfront so they are understandably more confused. The lady checks on the computer and says she cant see it on the booking but she needs to check with Head Office in Miami, but as it is now 9pm there they will let us know tomorrow. In the meantime if we buy any drinks they will be refunded once the situation gets sorted. 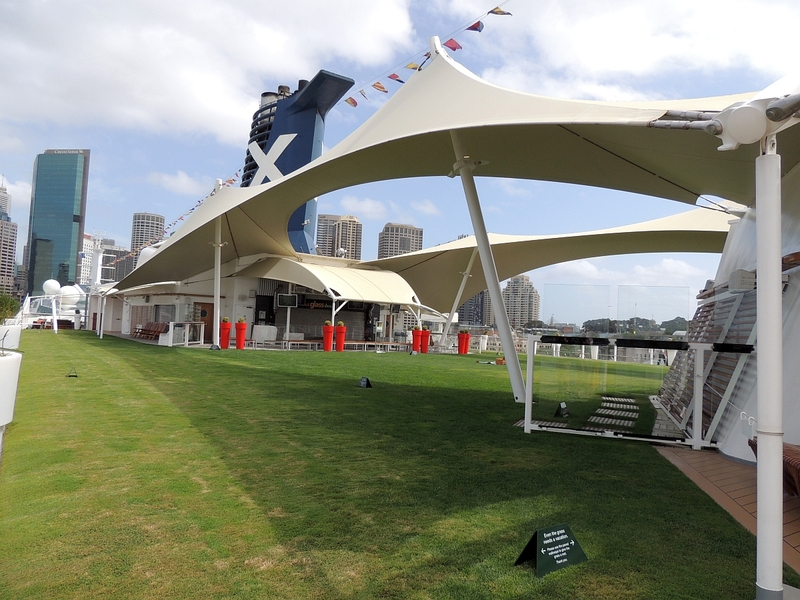 We take a stroll around the ship and take a few photos but decide to take lunch before it gets too busy. We have already decided to try Sushi on 5 as this is new. 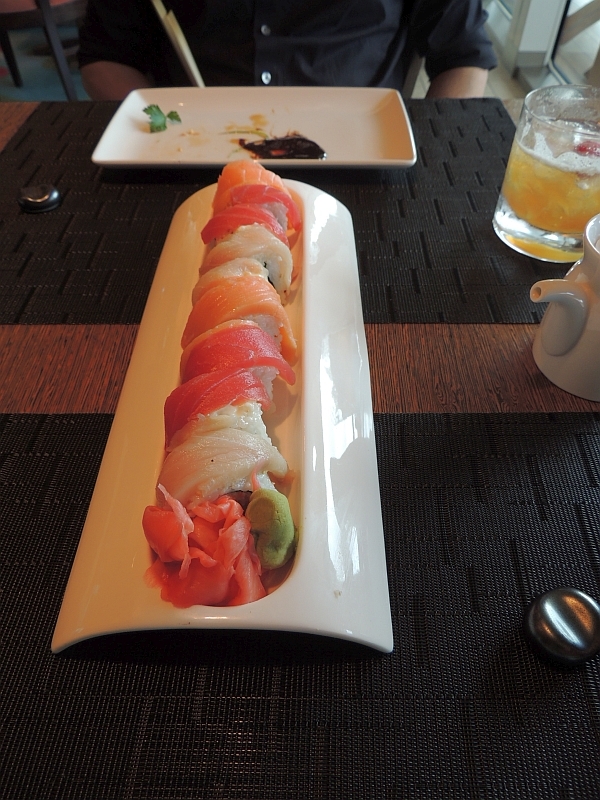 What we normally do is visit Bistro on 5 to avoid the hustle and bustle in the Oceanview Café, but this has now been re-vamped into Sushi on 5 which serves a selection of Japanese food including sushi rolls, sashimi and other delights. 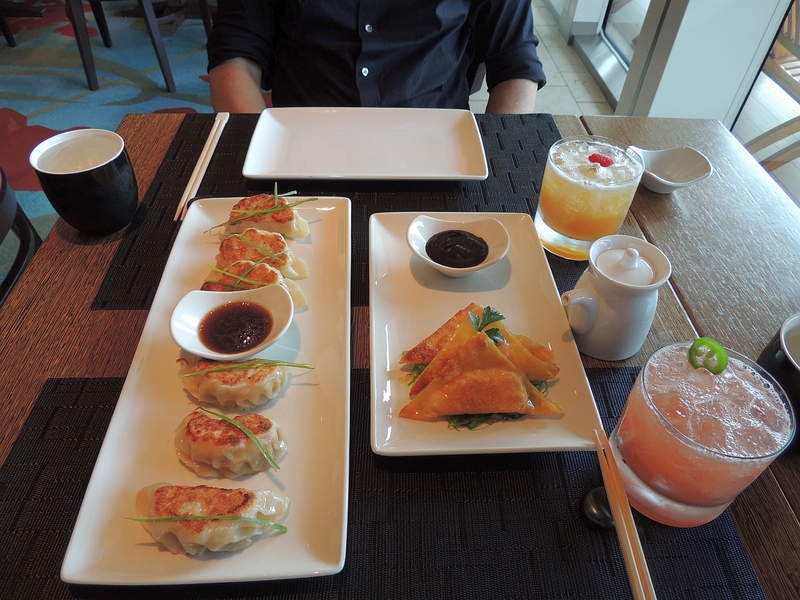 We have lobster and prawn wontons, chicken and ginger gyozas and a rainbow roll and a couple of cocktails. 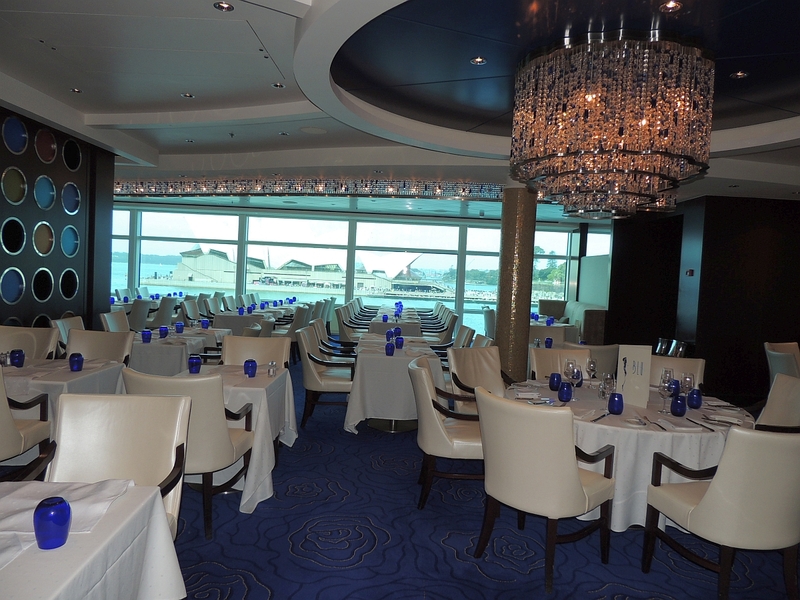 The food is delicious and although there is a charge now for each item we feel it is worth it as it is lovely and quiet, theres great service and its nice to have something different than the buffet offerings for the first lunch onboard. When we pay we explain about the drinks package and they kindly say they wont put the drinks through until a later date to give us a chance to sort it out  and true to their word they didnt ever put them through so that made it simpler for us. 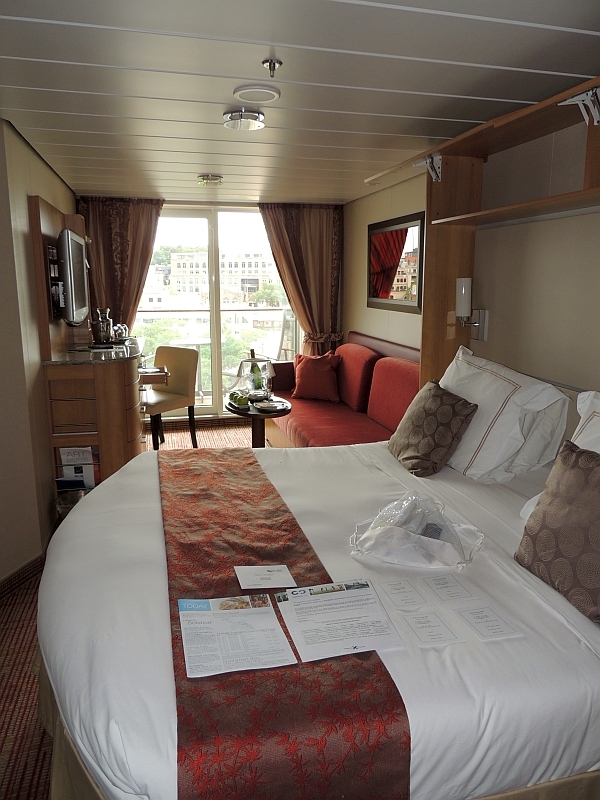 There is an announcement that the cabins are now open so we go and find it and look at the Captains Club and Aqua Club gifts that are on the bed. They include a drawstring bag, tote bag and various other little bits and pieces. 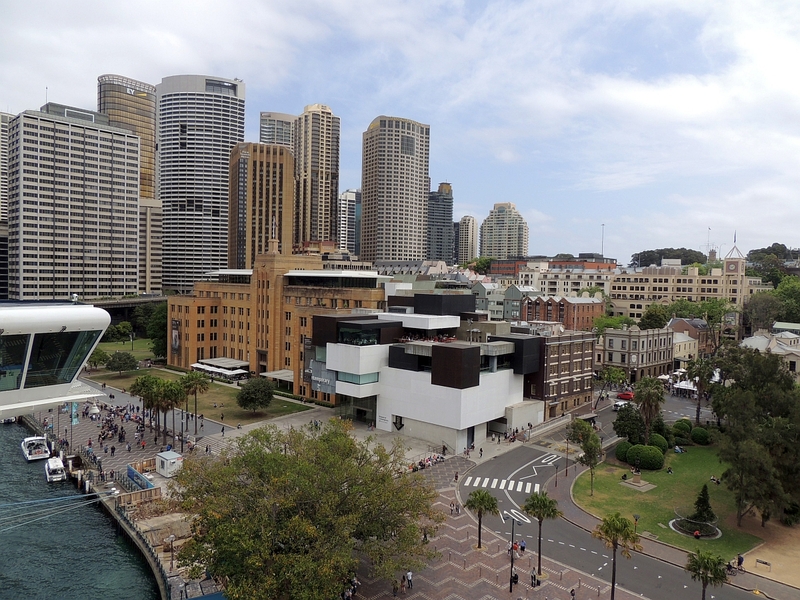 Go out to the balcony and its very surreal standing there towering over the surrounding quay area  the harbour bridge is to our right and we can watch the people in the bars and restaurants all around. One of the bars on the quay have a couple of guys singing and playing guitar so we sit on the balcony and enjoy the live music including the likes of George Ezra covers. Muster drill is announced at 5pm and we are in the main theatre which is such a civilised way of doing it. 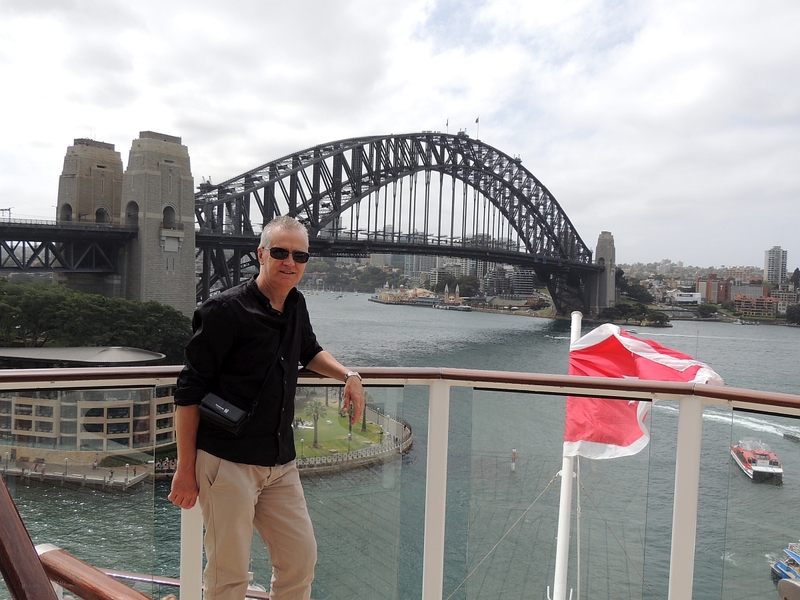 In the past we have stood on various cruise decks, decked out in a life jacket standing in the blazing sun whilst they complete the muster drill and it really isnt a great way to start a cruise - this is infinitely better. They run through the standard procedures of evacuation etc., etc and then we are allowed to leave so we go back to the cabin to unpack. It wont be long before sail away so we walk up to The Sunset Bar for margaritas. 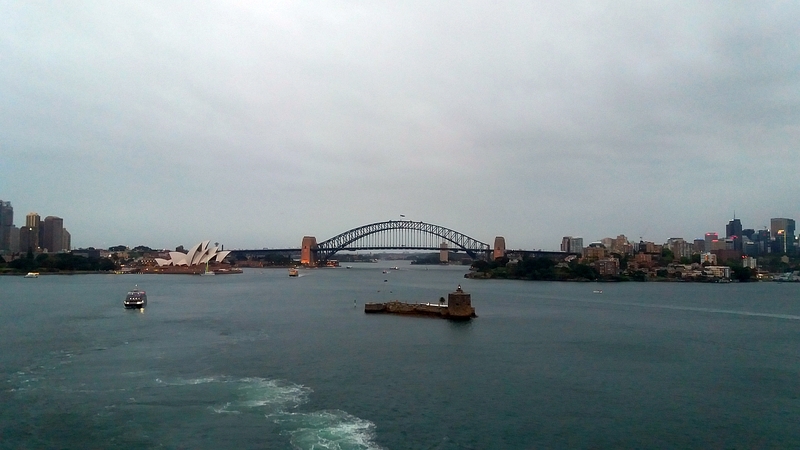 The sky is now looking decidingly grey, but we still video the sail away as Im not sure well ever sail away from a more iconic setting again. Its also a bit chilly by now so I take the lead from other ladies and grab a towel and wrap it round my legs to try and keep warm  this definitely wasnt what we ordered. Still the margarita helps keep out the cold. When the city is just a distant blur in the haze we go back to the cabin to get dressed for dinner. 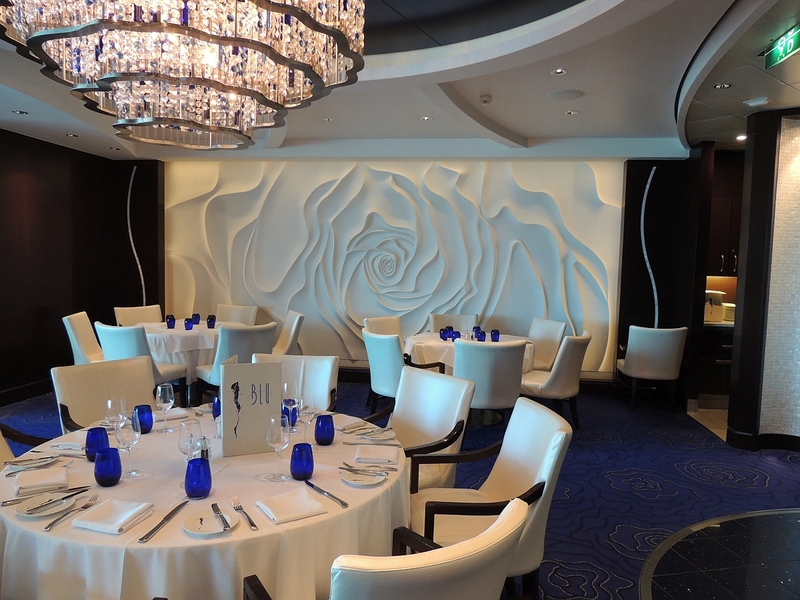 Tonight will be our first visit to Blu which is the restaurant solely for those cabins in Aqua Class. It is classily decorated with white walls with patterned relief like a flower, white tables and blue carpets and its relatively small compared to the main dining room, so it seems more intimate. I have corn veloute with chorizo  which is amazing, followed by Tuna ahi, Kev has tamarind quail and Tuna ahi  luckily I still have room for dessert so have a dulche leche custard which is devine. We are very happy with the quality of food and congratulate ourselves on making the decision to try Aqua Class this time. We have a rather nice chardonnay to accompany the food and are really getting into the swing of cruising again. Go up to the World Class bar which used to be the Molecular bar and was a firm favourite for their wonderful cocktails on past cruises. Were not disappointed with the quality and take a cocktail into the theatre to watch the show which consists of tributes to boy bands including Frankie Valli, The Beatles etc. etc. Its quite good fun as we know most of the songs but at the end around 10.30pm we are feeling really tired so go back to the cabin for bed.